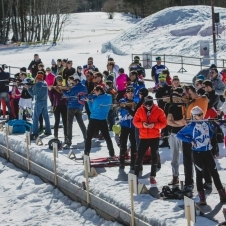 “For me, the Alpinum Impulse Tour was the occasion to try Biathlon but also to spend a beautiful day. Thank you for your warm welcome, the quality of the organisation, the kindness of everyone and a big thank you to all the young biathletes that led us on the shooting range (accurate explanations, understanding and encouraging!). We were like pros :-) but without the pression, with the right amount of challenge for a friendly competition. Thank you to the organisation team.” – Juliette V. “Thank you for this amazin experience, this wonderful day. I’ll redo it when you’re ready!” – Vince P. “I only have 3 words: bravo… bravo… and… AGAIN! !” – Xavier P. “Bravo to all the team for those great moments shared and for the communication around the event which is a great addition (I particularly appreciated all the photos! 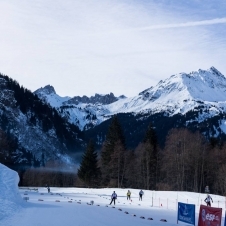 ).” – Samuel C.
This year, Eiffage Travaux Publics wins the challenge and wins a Biathlon TeamBuilding activity for 20 persons in Savoie, Haute-Savoie or Isère (French departments). 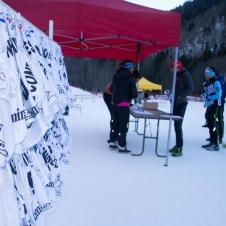 Within our CSR policy, we, Alpinum Events, organisation specialists in seminars for the companies, are proud to give 1 500€ to split between the Mt Blanc ski comity and the Contamines ski club. 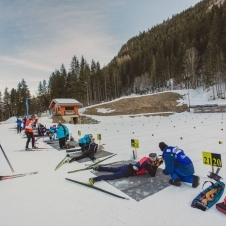 This money will contribute to the training of young Biathletes from Haute-Savoie (France), paying a significant portion of their training course, usually paid by the families. Particularly to the volunteers for their help to make this a friendly and pleasant sportive event!